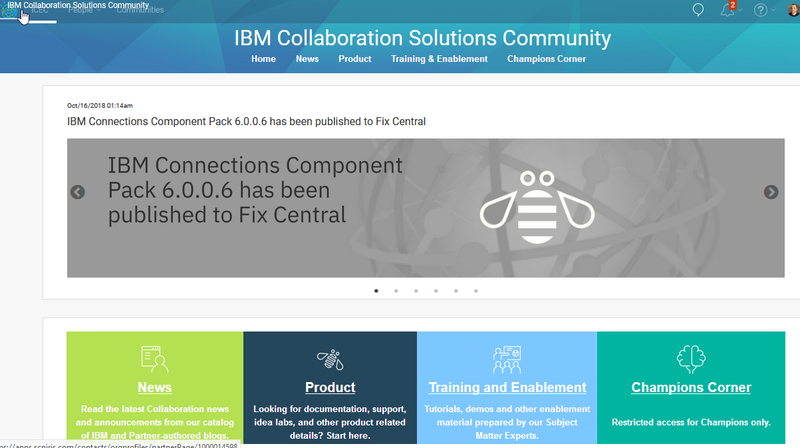 During past days , IBM has announced a new Community named " IBM Collaboration Solutions Community " that should become the new hub regarding ICS , with news , events, training . This community is build over a cloud instance of IBM Connections with ICEC , so customers and users could touch what it's possible build with this products. The access of the community is free , if you are customers, business partner or users I strongly suggest to add it to your bookmarks! So I got access. There is very limited content but there are tiles marked Virtual Symposium,Training and Enablement,Developer Center and of course Destination Domino. This has potential but is not useful yet. It also covers Connections so not everything will be Domino.